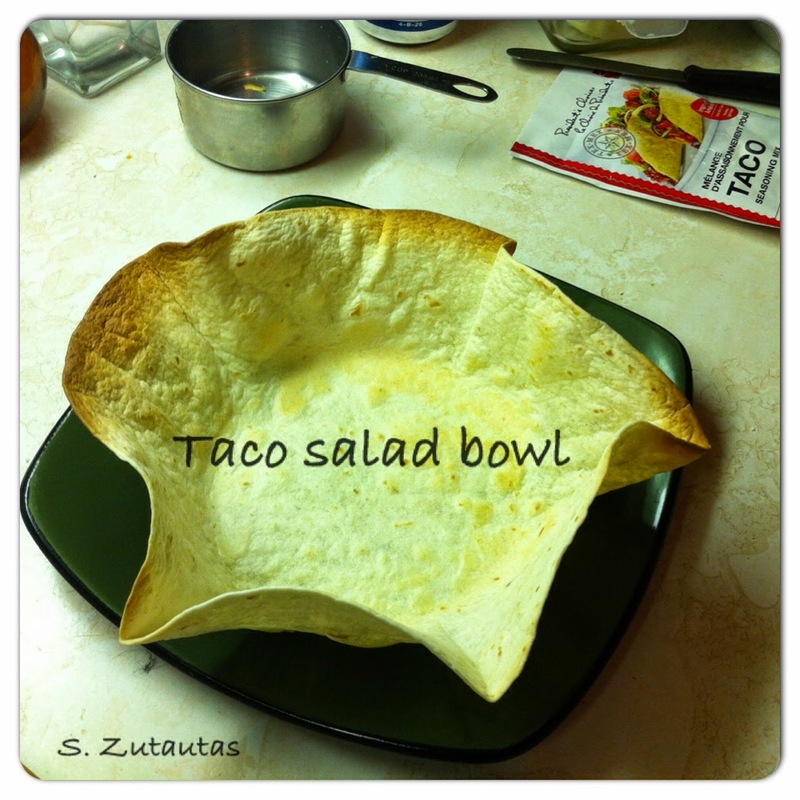 Making your own edible taco salad bowls are very easy to make out of large tortilla shells. All you need to do this is an oven safe bowl. I use stainless steel bowls and find that they work perfectly. Preheat oven to 325 degrees F placing an oven rack in the center of the oven. 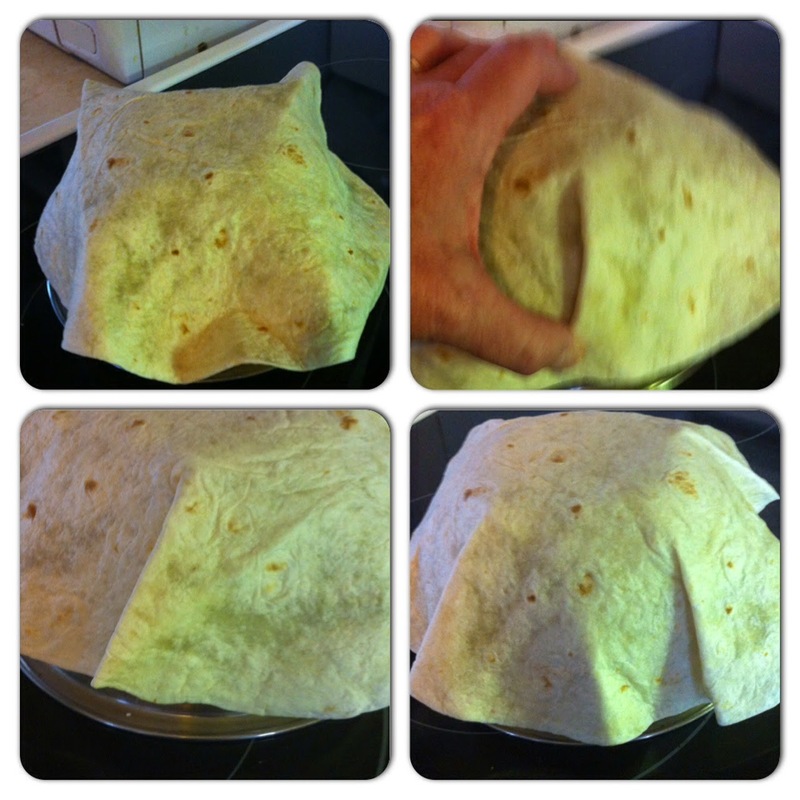 Place your bowl upside down and center the tortilla on the bowl. Going around the bowl fold and apply pressure to each fold. Place the bowl upside down directly on the oven rack and cook until the shell is a light colored brown. This should take approximately 10 to 15 minutes. Remove from the oven and let the shell cool before removing from the bowl. Fill with your taco salad, serve and ENJOY! I will be trying this very soon--thanks to you! Love taco salad. This looks much healthier than the restaurant tortillas. What a wonderful, simple idea to "fancy up" the table! I suppose glass bowls would work in the oven, too. I can do that! Yes glass bowls would work just as well Susan. I'll definitely do this. 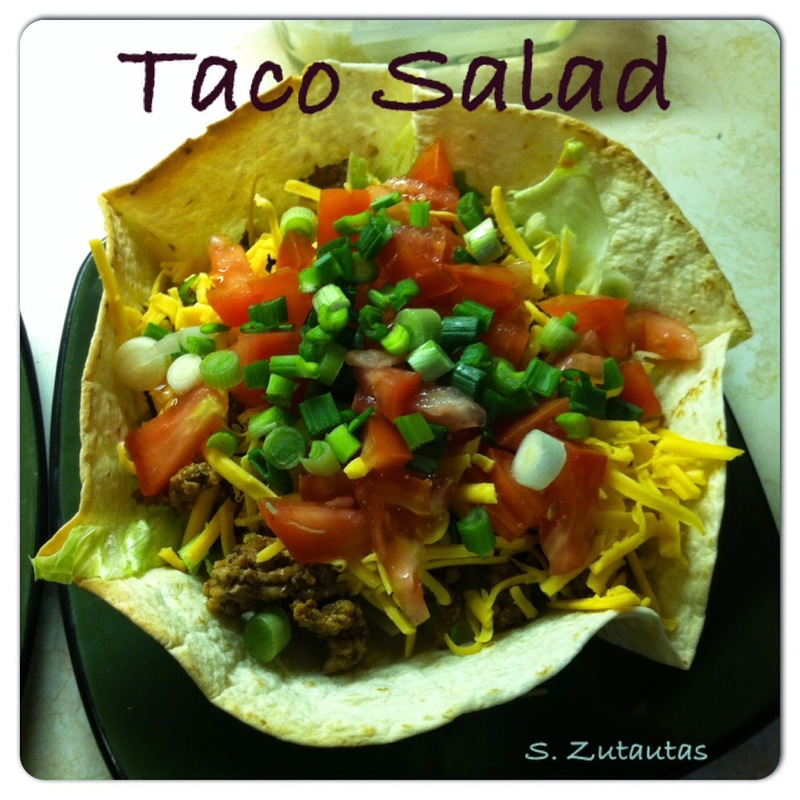 Taco salads are one of our favorites, and if I can make my own bowls, so much the better! Thanks Susan!! You're welcome Nancy and so nice to see you!